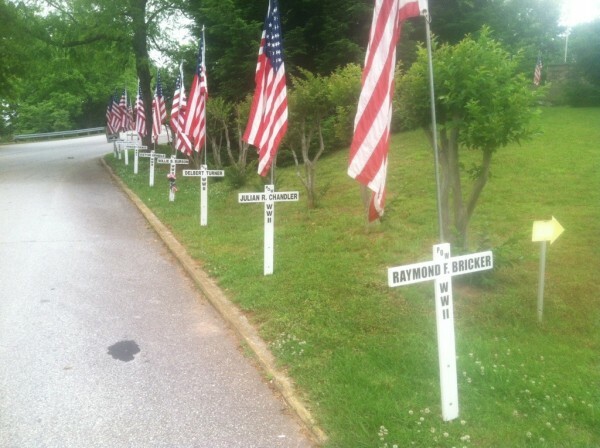 Hundreds of these crosses and flags are placed next to roads all around the city for Memorial Day through The 4th of July and again for Veterans Day. It is a labor of love and respect for those. who have died and served our country.